Students interested in doing an exchange at Hochschule Ravensburg-Weingarten –HRW (Germany) may apply for a scholarship of € 850 per month for a period of 3 to 5 months. – Apply at the website of the host institution and upload the required documents after being nominated by SINTER. The selection process will be completely carried out by HWR. SINTER will only nominate the students. The Study Buddy Program is a volunteer program in which UFSC students give guidance and assistance to incoming exchange students on how to proceed in their first days in Florianópolis and at UFSC. In return, it provides our regular students the opportunity to get in contact with students from foreign universities and cultures from all over the world. This is a wonderful opportunity for you to have an exchange experience without going abroad. Practice another language, get to know other cultures and make foreign friends at UFSC! Deadline for applications is 3 June 2019. For further information and to fill out the application form, click here. Remuneration: R$ 364,00 + R$ 132,00 (transportation vouchers) = R$496,00. Requirements: 2nd semester of studies or beyond, no course failure due to unsatisfactory attendance, fluency in English, excellent writing, ease in operating administrative systems, responsibility and initiative. Students interested must send their CVs to caa.sinter@contato.ufsc.br. Having reviewed the appeals, the Office of International Relations (SINTER) announces the final result of the UFSC pre-selection process for the Erasmus + Faculty Mobility Program at Sapienza Universitá di Rome, according to the Call for Applications 4 SINTER 2019. The Office of International Relations (SINTER) announces that applications are open for the Brazil-Mexico (BRAMEX) and Brazil-Colombia (BRACOL) Exchange Programs. The programs aim to promote udergraduate student exchange between member institutions of the Grupo Coimbra de Universidades Brasileiras (GCUB), the Asociación de Universidades e Instituiciones de Educación Superior de la República Mexicana (ANUIES) and the Asociación Colombiana de Universidades (ASCUN). Applications must be made from 5 April 2019 to 1 May 2019. The Office of International Relations (SINTER) announces the preliminary result of the pre-selection of UFSC faculty members for the Erasmus+ Faculty Mobility Program at Sapienza Universitá di Roma, according to the Call for Applications no. 04 SINTER 2019. According to item 10 of the Call, applicants can file an appeal against the pre-selection result on 4 April 2019 until 11:59 p.m. The Office of International Relations (SINTER) announces the preliminary result of the pre-selection of UFSC students for the Erasmus + Sapienza Doctoral Student Mobility Program, according to the Call for Applications no. 5 SINTER 2019. There were no other candidates. The pre-selected student must gather the documents listed on items 6 and 7 of the Call and wait for the Sapienza Universitá di Roma to contact her in order to complete her application in the host university’s system. The Universidad de Boyacá (Colombia) is offering an exchange opportunity for one UFSC student. The host university will provide the selected student with meals (lunch and dinner) during the 2019-2 academic period. Applicants must be regularly enrolled in an undergraduate program and attending classes in the 2019.1 semester at UFSC. SINTER will select the student according to the criteria established on item 3.3 of the Call for Applications 1 SINTER 2019 – Outgoing Program. The student with the highest academic performance will be selected. Calculation of academic performance will be based on the Cumulative Semester Grade Point Average (IAA) of the student, as provided in the Undergraduate Academic Records System (CAGR), and on the average IAA and the standard deviation of the student’s program, as calculated between 14 and 15 May 2019. The Office of International Relations (SINTER) announces that applications for the 2019 PROMISAES Financial Support – remaining awards (waiting list) are open from 28 March to 31 October 2019. The award is offered by the Ministry of Education (MEC) to students from the Programa de Estudantes-Convênio de Graduação (PEC-G) at UFSC. Check the rules in the Call for Applications no. 7/SINTER/2019. Note: PEC-G students admitted in 2019.1 can apply but may only receive the award in 2019.2. The Office of International Relations (SINTER) informs that applications for the ESCALA Estudiantes de Grado program of the Asociación de Universidades Grupo Montevideo (AUGM) are open until 29 April 2019. The call for applications is aimed at UFSC undergraduate students and offers 16 places distributed among universities in Argentina, Chile and Uruguay. 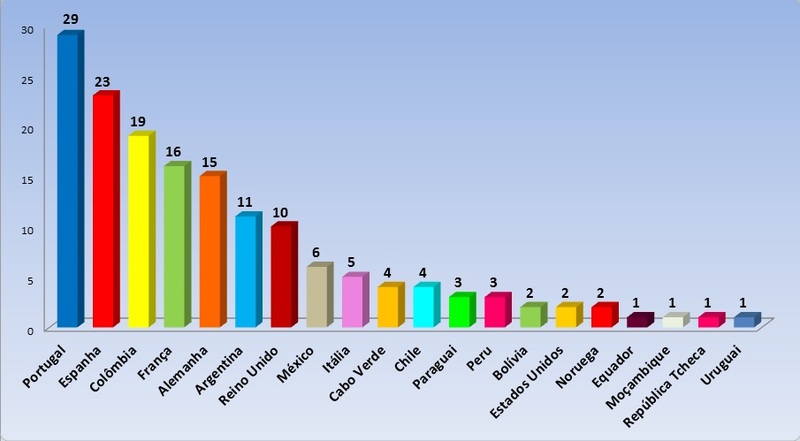 The Programme for the Strengthening of Civil Service in Latin America of the Botín Foundation, a Spanish organization dedicated to promoting vocation and talent for public service, selects every year 32 Latin American undergraduate students with leadership profile and talent for public services to participate in a two-months intensive course. The course includes lectures, classes, institutional visits, debates, projects, outdoor training and personal qualification. This year’s edition will be carried out in three stages: United States, Spain and Colombia. The program will cover the selected students’ expenses related to transportation and housing (students are responsible for all visa and passport-related expenses). The Office of International Relations (SINTER) announces that applications are open for the Erasmus + Sapienza Doctoral Student Mobility Program, according to Call no. 05 SINTER 2019. The Call aims to pre-select UFSC doctoral students for a mobility period in the Sapienza Universitá di Roma (Italy), which will select 1 Brazilian doctoral student to take part in the program. The selected student will be reimbursed for the transportation expenses in the amount of €1500, and will receive daily allowances in the amount of €28 per day. The benefits will be paid by Sapienza after arrival in Rome. The Office of International Relations (SINTER) announces that applications are open for the Erasmus + Sapienza Faculty Mobility Program, according to Call no. 04 SINTER 2019. This Call aims to pre-select UFSC faculty members for a mobility period in the Sapienza Universitá di Roma (Italy), which will select 3 Brazilian faculty members to take part in the program. The Office of International Relations (SINTER) announces that applications are open for the 2019 Erasmus + UFSC – UHK Faculty Mobility Program, according to Call no. 03 SINTER 2019. This edition of the Program is aimed at UFSC faculty members who develop graduate-level research in the following areas: Archival Science, History, Philosophy, Political Science, Social Work or Social Science. 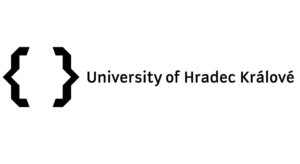 One faculty member will be selected for a mobility period in the Hradec Králové (UHK) University, Czech Republic. The selected faculty member will be reimbursed for the transportation expenses in the amount of €1500 and will also receive daily allowances, totaling €1680. The benefits will be paid after arrival in the Czech Republic. The Office of International Relations (SINTER) has published a call with the rules for UFSC undergraduate students to apply for exchange via Outgoing Program. UFSC online application system will remain open until 30 November 2019. To do the exchange, the students will need to follow the deadlines of the host institution according to the rules established in the call. On 8 March, the Office of International Relations (SINTER) will hold a welcome session for foreign exchange students coming to study at UFSC during the first semester of 2019. The event will take place at the Rectorate Building’s Auditorium, at 10 a.m., and will have the participation of UFSC’s Rector and the Secretary for International Relations. In addition to welcoming the students, the session will include cultural activities and a coffee break. UFSC will welcome 150 foreign students from 19 countries through the Incoming, BRACOL, BRAMEX and AUGM programs. The Incoming Program receives students from partners institutions, with which UFSC holds through bilateral agreements, without scholarships. The other programs, of which UFSC is a part, include financial assistance for incoming and outgoing students. Besides the exchange students, UFSC will also welcome 18 students from the Exchange Program for Undergraduate Students (PEC-G), coming from 10 different countries to pursue their degrees at UFSC. More information about the exchange programs offered at UFSC can be found in our website. The Office of International Relations (SINTER) announces that applications for the 2019 PROMISAES Financial Support are open from 30 January to 18 February 2019. The awards are offered by the Ministry of Education (MEC) to students from the Programa de Estudantes-Convênio de Graduação (PEC-G) at UFSC. Check the rules in the Call for Applications no. 2/SINTER/2019. Applications for the 2019.1 MRE Merit Scholarship are open from 24 January 2019 to 13 February 2019. The scholarship is destined for students of the PEC-G Program at UFSC who have completed at least 2 semesters of study. Offered by the Brazilian Ministry of Foreign Affairs (MRE), the Merit Scholarship consists of a monthly financial assistance of R$ 622.00. Read the rules carefully in the Call for Applications DC N. 01/2019.1. To apply, students must send the following documents, digitized in high quality and PDF format, to pecg.sinter@contato.ufsc.br until 11:59 p.m. of 13 February 2019. Developed by the Canadian Government, the Emerging Leaders in the Americas Program (ELAP) offers scholarships to undergraduate and graduate students (master’s and doctoral level) from Latin America and the Caribbean for an exchange program at Canadian universities. The USAC Study Buddy Program is an initiative for UFSC students to get to know students from other countries and cultures and improve their English through practice. The 24th Conference of the Parties of the United Nations Climate Change Convention (COP24) was held in Katowice, Poland, from 3 to 14 December 2018, to discuss how the 2015 Paris Agreement will be implemented and moved forward. 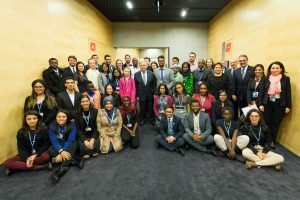 The undergraduate student Alicia Maria Amancio da Silva, currently enrolled in the first year of the International Relations program at UFSC, attended COP24 as a representative of Youth NGOs. In addition to participating actively in the debate, during the first week of the Conference, Alicia had a meeting with the UN Secretary General, António Guterres, as a representative of Latin America. The Office of International Relations (SINTER) announces that applications for the 2019 Erasmus + UFSC – UHK Faculty Mobility Program have been suspended and that the Call for Applications no. 18 SINTER 2018 has been canceled (see Call no. 19 SINTER 2018 for more information). As requested by the host institution, due to changes in the academic calendar, we will soon announce a new call for applications. The Extension School, linked to the Prorectorate for Outreach and Extension (PROEX), and the Office of International Relations (SINTER) at UFSC announce that registrations are open for the summer extension courses taught entirely in English. The courses are free of charge and open to the community. Registration must be done until 5 February at the UFSC Extension School website (seats are limited). See the details on the courses offered below. Today, 18 December, the UFSC community celebrates another year of history. Founded in 1960, UFSC has campuses on Florianópolis, Joinville, Blumenau, Araranguá and Curitibanos, bringing the quality of public higher education to all corners of the Santa Catarina state. In 2017, UFSC had more than 46 thousand students enrolled at all education levels. On its five campuses, it offers more than 100 undergraduate programs and more than 60 graduate programs. In only one year, research at UFSC has generated 11,208 bibliographic productions and 6,542 technical productions. In the same period, the University has carried out 12,148 outreach actions. All this at the service of Brazilian and Santa Catarina society. UFSC is yours. UFSC is ours. We inform that the guidelines for UFSC students to apply for the 2019 ELAP (Emerging Leaders in the Americas Program) Scholarship will be made available on our website after the release of the application rules and procedures by the Canadian Government on the ELAP website. The National Association of Directors of Federal Higher Education Institutions (Andifes) has launched a video about public universities in Brazil with information such as the fact that the ten most renowned universities in the country are public and free of charge and that more than 60% of the students come from lower social classes. The material is part of a national campaign promoted by Andifes in defense of the Brazilian public and tuition-free higher education. On 5 December 2018, the Office of International Relations promoted the first training for UFSC’s internationalization agents. The nomination of such agents is an initiative that aims to contribute to the university’s international activities and processes, strengthening the relathionship among the campuses. The training aimed to integrate the new team and present the practices and procedures adopted by SINTER. During the meeting, new ideas and suggestions were proposed. SINTER thanks everyone for coming and welcomes the team. The Office of International Relations (SINTER) announces the final results of the selection process for the Pädagogische Hochschule Weingarten (Germany) exchange scholarship, according to the Call for Applications no. 17 SINTER 2018 – PHW. The Office of International Relations (SINTER) announces the preliminary results of the second stage of the selection process for a scholarship at Pädagogische Hochshule Weingarten (Germany), according to the Call for Applications no. 17 SINTER 2018 – PHW. The second stage of the selection process consisted in an interview with a committee of UFSC faculty members. The Office of International Relations (SINTER) has published a call with the rules for UFSC undergraduate students to apply for exchange via Programa Outgoing. UFSC Online application system will remain open until 31 December. To do the exchange, the students will need to follow the deadlines of the host institution according to the rules published by the present call. All the doubts about application procedures should be solved via e-mail (outgoing.sinter@contato.ufsc.br). Check the present call: Public Call no. 01/SINTER/2018. Frequently asked questions (in Portuguese). From 11 to 15 February 2019, the Universidade Federal de Santa Catarina – Florianópolis Campus will host the First BRAFITEC Summer School. The event is free of charge and will have the participation of faculty from Brazilian and French universities, who will offer minicourses related to engineering (entrepreneurship and innovation, mobility opportunities in France, biomaterials, environment, robotics, aerospace engineering and nanomaterials). Minicourses will be taught in French. UFSC will also offer, in the scope of the Extension School Program, French classes from 11 to 22 February 2019. The Office of International Relations (SINTER) announces the first stage results of the selection process for anundergraduate exchange scholarship at Pädagogische Hochschule Weingarten (Germany) for the 2019 winter semester, according to the Call for Applications 17/SINTER/2018 – PHW of 5 November 2018. The Office of International Relations (SINTER) announces the final result of the selection process for faculty mobility through the Escala Docente Program of the Asociación de Universidades Grupo Montevideo (AUGM), according to the Call for Applications 12/SINTER/2018. The Office of International Relations (SINTER) announces the final results of the selection process for the BRACOL and BRAMEX Exchange Programs, according to the Calls for Applications 14/SINTER/2018 and 15/SINTER/2018. Universidad de Manizales: There were no applicants. The Offi ce of International Relations (SINTER) announces the final results of the selection process for the AUGM Escala Estudiantes de Grado Program (2019.1 semester), according to the Call for Applications 13/2018/SINTER. The Office of International Relations (SINTER) announces that applications are open for an exchange scholarship at the Pädagogische Hochschule Weingarten (Germany) in the 2019 winter semester. The scholarship is targeted at UFSC German Language and Literature undergraduate students. Applications must be made between 5 and 20 November 2018. Check the procedures for applications here: Call 17/SINTER/2018 – PHW. The Office of International Relations (SINTER) announces the preliminary results of the selection process for the BRACOL and BRAMEX exchange programs, according to the Calls for Applications 14/SINTER/2018 and 15/SINTER/2018. The Office of International Relations announces the preliminary results of the selection process for the AUGM Escala Estudiantes de Grado Program (2019.1). The following applicants were approved after the second stage of the process, consisting in an interview by a committee of UFSC faculty members. The Office of International Relations (SINTER) announces the first stage results of the selection process for the Brazil-Colombia (BRACOL) and the Brazil-Mexico (BRAMEX) Exchange Programs, in accordance with the Calls for Applications 14/SINTER/2018 and 15/SINTER/2018. BRACOL applicants listed below will receive an email with their interview time. Interviews will take place on 30 October 2018 during the afternoon at SINTER. There were no applications for the BRAMEX Program. The UFSC Graduate Program in Literature (PPGLit) and the Juan Carlos Onetti Center for Latin American Literature Studies invites the academic community and the general public for the I International Symposium of the AUGM Literature, Imaginaries, Aesthetics and Culture Discipline Group: “Latin America: Literature, Culture and Thought”. The event will take place on 30 and 31 October 2018 at the School of Communication and Arts – CCE. The symposium aims to discuss significant moments of the critical and artistic productions in AUGM member countries. Researchers from Brazil, Uruguay, Argentina, Chile and Paraguay will participate in round tables and guide the discussions around the theme. The Graduate Program in Physical Education (PPGEF) invites the academic community for the lecture “Sports Coach Development: Leveraging Social Learning”. The lecture will be given by Prof. Diane Culver, from University of Ottawa, on 23 October, 2 p.m., at the School of Sports (CDS) Auditorium. There will be simultaneous translation into Portuguese. The Office of International Relations (SINTER) announces the final result of the selection process for the 2019 AUGM Escala Posgrado Program, according to the Joint Call n. 1/2018/SINTER/PROPG from 29 August 2018. The Office of International Relations announces the preliminary result for the 2019 AUGM Escala Posgrado Program according to the Joint Call n.01/SINTER/PROPAG/2018 from 29 August 2019. The Resident Director of the Universities Study Abroad Consortium (USAC), in partnership with the Office of International Relations (SINTER), announces the results of the selection process for undergraduate students and staff members to participate in the 2018 USAC Scholarship Program, according to the Call for Applications USAC 2018. The Office of International Relations announces the selected applicants for the interview phase of the AUGM Escala Estudiantes Posgrado selection process, according to the Call for Applications no. 1/2018/SINTER/PROPG from 29 August 2018. MARY ANNE SOBOTTKA 10:30 A.M. Interviews will be at SINTER (Rectorate Building II, 1st floor, room 101). Address: Avenida Desembargador Vitor Lima, 222 – Trindade, Florianópolis. The Office of International Relations (SINTER) announces the results for the first stage of the 2019 Escala Estudiantes Posgrado Program, according to the Joint Call for Applications n. 1/2018/SINTER/PROPG from 29 August 2018. The Literature, Imaginaries, Aesthetics and Culture Discipline Group (ND) of the Asociación de Universidades Grupo Montevideo (AUGM) invites the community for its first Symposium on “Latin-America: Literature, Art and Thought”. The event will discuss significant moments of the critical and artistic productions in AUGM member countries. Researchers from Brazil, Uruguay, Argentina, Chile and Paraguay will participate in round tables and guide the discussions around the theme. The event will take place on 30 and 31 October 2018, at the Henrique Fontes Auditorium and the Hassis and Drummond rooms, in the School of Communication and Arts (CCE). The complete schedule will be released on the UFSC Onetti Group Facebook page. The Office of International Relations (SINTER) announces that applications for the 2018 PROMISAES Financial Support (Remaining awards from Call 03/SINTER/2018) are open from 28 September to 14 October 2018. The awards are offered by the Ministry of Education (MEC) to students from the Programa de Estudantes-Convênio de Graduação (PEC-G) at UFSC. Check the rules in the Call for Applications 16 SINTER 2018 – PROMISAES – Remaining Awards 2018-2. Applications must be made from 27 September 2018 to 22 October 2018. The I UFSC Internationalization Colloquium took place on 25 September at the Teixeirão Auditorium, in the School of Technology (CTC). Aimed at faculty, staff and students, the event discussed the institutional strategies and the importance of raising the community’s awareness and commitment on the comprehensive internationalization process of UFSC. In the morning, after a speech by Prof. Alacoque Erdmann, Vice-Rector, and by Prof. Lincoln Fernandes, Secretary for International Relations, the Colloquium hosted presentations by Sarah Sullivan, a member of Education in Ireland, and Hanna Knapp, a visiting professor from Germany at UFPR, to promote exchange opportunities in Ireland and Germany. In the afternoon, Prof. José Celso Freire Jr., from UNESP, gave a lecture on the importance of the internationalization process and on concrete actions that the university can take to foster its development. At the event, SINTER also announced the launching of the UFSC Course Catalogue 2018/2019 which contains the list of courses offered in Foreign Languages for graduate and undergraduate student at UFSC. For a whole article about the event, access UFSC News website. The Laboratory for Research on the Care for People with Acute Health Conditions (GEASS) invites the community to participate in the minicourse “Basic Life Support to victims of cardiopulmonary arrest according to the American Heart Association (AHA)” to take place during the UFSC Teaching, Research and Outreach Week (SEPEX). The course will address theoretical discussions and practical simulation activities concerning the new American Heart Association (AHA) guidelines for Cardiopulmonary Resuscitation (CPR). The objective is to train the general community, including health professionals and the lay audience, to act in CPR situations. Participants will learn the guidelines for supporting victims of cardiopulmonary arrest and will be able to perform a resuscitation exercise with the help of instructors. One of the aims of the group is to involve international students in its activities. USAC – University Studies Abroad Consortium is a non-profit organization that has as one of its purposes to offer learning opportunities in English for UFSC’s academic community. To register for USAC courses, an advanced level of English is required, especially of listening and speaking skills, since student participation during classes is essential. Those interested in the courses must go to USAC’s office (Room 219, Building A – CCE) from 9 a.m. to 1 p.m. (Tuesday to Friday) for a brief interview in English and registration. If it is not possible to go to the office during this period, contact USAC on + 55 48 3721 6208 from 9 a.m. to 1 p.m. (Tuesday to Friday). Registration period: from 25 to 28 September 2018 – 9 a.m. to 1 p.m. The Resident Director of the Universities Study Abroad Consortium (USAC) in Florianópolis announces the results of the second stage of the selection process for its international mobility program aimed at UFSC Foreign Language and Literature undergraduate students (Licenciatura) and consisting in one scholarship award per language program (English, French, Italian, German and Spanish), according to the Call for Applications USAC SCHOLARSHIPS / 4 September 2018. 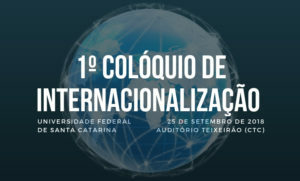 The Office of International Relations (SINTER) at the Universidade Federal de Santa Catarina (UFSC) promotes the I UFSC Internationalization Colloquium. The event will take place on 25 September 2018, from 9 a.m. to 5 p.m., at the Teixeirão Auditorium – School of Technology (CTC). The Colloquium is open to the academic community, without need of prior registration. Aimed at faculty, staff and students interested in participating in the University’s internationalization process, the event seeks to involve all areas of UFSC in a cultural transformation that will foster its international vision. UFSC’s Secretary for International Relations, Lincoln Fernandes, points out that “we wish to break paradigms and encourage the university community to explore new possibilities. The objective is to insert internationalization into every routine, action and project”. Prof. Fernandes will open the event with a lecture about UFSC’s actions towards the consolidation of its internationalization process. The event will also host a lecture by the former president of the Brazilian Association for International Education (FAUBAI), Prof. José Celso Freire Jr, from Universidade Estadual Paulista (Unesp). FAUBAI aims to promote the improvement of exchange programs and international cooperation bringing together international relations representatives from 250 Brazilian Higher Education Institutions. A round table with educational representatives from Germany and Ireland will also be promoted for faculty and students interested in internationalization. The Office of International Relations (SINTER) announces the final results of the Call for Applications no. 11 SINTER 2018 – Erasmus + UFSC – UHK 2019. 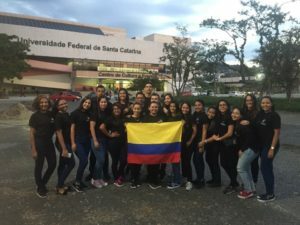 The Office of International Relations (SINTER) announces the final results for the 2019 Santander Universidades Ibero-American Scholarship Program aimed at undergraduate students wishing to go on an exchange between the first and second semesters of 2019, according to the Call for Applications no. 8 SINTER 2018. The Office of International Relations (SINTER) informs that applications for the ESCALA Estudiantes de Grado program of the Asociación de Universidades Grupo Montevideo (AUGM) are open until 15 October 2018. The call for applications is aimed at UFSC undergraduate students and offers 15 places distributed among universities in Argentina, Chile, Paraguay and Uruguay. The Office of International Relations (SINTER) announces the preliminary results of the Call for Applications no. 11 SINTER 2018 – Erasmus + UFSC – UHK 2019. The selected students are listed below in ranking order as stated on item 8.7 of the Call. The Office of International Relations (SINTER) announces the preliminary results for the 2019 Santander Universidades Ibero-American Scholarship Program aimed at undergraduate students wishing to go on an exchange between the first and second semesters of 2019, according to the Call for Applications no. 8 SINTER 2018. The Resident Director of the Universities Study Abroad Consortium (USAC) in Florianópolis announces the results of the first stage of the selection process for its international mobility program aimed at UFSC Foreign Language and Literature undergraduate students (Licenciatura) and consisting in one scholarship award per language program (English, French, Italian, German and Spanish), according to the Call for Applications USAC SCHOLARSHIPS / 4 September 2018. Up to 6 students per program were selected according to item 7.3 of the Call. For the French, German, Italian and Spanish programs, the total of students who met the application requirements determined on item 5.1 of the Call was below the number of places available for the second stage. Therefore, those students will move on to the third stage of the selection process (individual interviews) as established on item 7.6. Interviews will take place between 24 September 2018 and 5 October 2018. Selected students will receive an email informing the date and time of the interviews. For the English students, the selection process will proceed according to item 7.4 of the call. 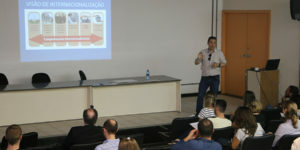 The Resident Director of the Universities Study Abroad Consortium (USAC) in Florianópolis announces the results of the first stage of the selection process for its international mobility program aimed at UFSC technical-administrative staff members and consisting in a scholarship award to study at the University of Nevada’s Intensive English Language Center (IELC) for a summer session (between June and August), according to the Call for Applications USAC SCHOLARSHIPS/ 4 September 2018. 6 candidates were selected according to item 8.4 of the Call. The selected candidates are listed below in alphabetical order and will receive an email informing the time of their interviews, which will take place on 18 September during the morning, at the School of Communication and Arts (CCE). We are pleased to invite the academic community for the I UFSC Internationalization Colloquium, an event that aims to promote UFSC’s activities leading towards the consolidation of its internationalization process. It will take place on 25 September 2018, from 9 a.m until 5 p.m., at “Teixeirão” Auditorium – CTC, with a lecture from Prof. Dr. José Celso Freire Jr. (UNESP) and a round table with educational representatives from Germany, Ireland and the United Kingdom. The Resident Director of the Universities Study Abroad Consortium (USAC) in Florianópolis, in the exercise of his powers, and considering the cooperation agreement between USAC Exchange Program and UFSC-DLLE, has extended the application deadline for the USAC scholarships 2018. Five full scholarships will be offered to Foreign Language and Literature undergraduate students (Licenciatura) and one to UFSC administrative staff members. Applications must be submitted until 23:59 on 12 September 2018. See the call for applications here. The Office of International Relations (SINTER) announces the list of students selected for the interview stage of the Call for Applications 11/SINTER/2018 – UHK Erasmus +. According to item 8.4 of the call, “applicants approved in the first stage will be called for the second stage, consisting of an interview conducted in English”. The Office of International Relations (SINTER) announces the final results of UFSC’s selection process of administrative staff members to go on an exchange in one of the partner universities of the Asociación de Universidades Grupo Montevideo (AUGM) through the Programa Escala de Gestores y Administradores, in accordance with the Call for Applications 09/2018/SINTER from 16 July 2018. The Resident Director of the Universities Study Abroad Consortium (USAC) in Florianópolis, in the exercise of his powers, and considering the cooperation agreement between USAC Exchange Program and UFSC, has published a Call for Applications for the USAC scholarships 2018. Five full scholarships will be offered to Foreign Language and Literature undergraduate students (Licenciatura) and one to UFSC administrative staff members. Applications must be submitted until 23:59 on 10 September 2018, according to the Call for Applications. The first phase result will be announced until 13 September 2018 on SINTER’s website. Candidates should carefully read the Call, since it has all the necessary information. In case of doubts, contact USAC at floripa@usac.edu (the subject of the email must be Dúvida edital 2018), within the period of applications. The Office of International Relations (SINTER) publishes the preliminary results of UFSC’s selection of administrative staff members to go on an exchange in one of the partner universities of the Asociación de Universidades Grupo Montevideo (AUGM) through the Programa Escala de Gestores y Administradores, in accordance with the Call for Applications 09/2018/SINTER from 16 July 2018. The Office of International Relations (SINTER) announces that applications for the AUGM Escala Docente Program are open according to the Call for Applications n.12/SINTER/2018. The reciprocal program of academic mobility is targeted at faculty members and involves several areas of teaching, research, outreach and university management. Sixteen places will be offered in universities in Argentina, Bolivia, Chile and Uruguay, for a period of 10 days, necessarily between February and November 2019. Applicants must submit all the documentation required on item 5 of the Call digitized in PDF format to augm.sinter@contato.ufsc.br between 29 August 2018 and 29 October 2018. Applicants will be selected by a committee chaired by SINTER and with representatives from at least two Prorectorates (preferably PROPG, PROPESQ and PROEX) between 30 October 2018 and 8 November 2018. For more information, check the Call for Applications no. 12/SINTER/2018. The Office of International Relations (SINTER) informs that the deadline for application to the 2018.2 PROMISAES financial support, offered by the Ministry of Education (MEC) to PEC-G students, according to Call 10 SINTER 2018 2 – PROMISAES, has been extended until 9 September. See the extended call for applications here. The Office of International Relations (SINTER) announces that applications for the Erasmus + UFSC-UHK Mobility Program are open according to the Call for Applications no. 11/SINTER/2018. The Program has as its study theme the Political Sciences, and is destined to students from the Social Sciences and International Relations Undergraduate Programs and from the Political Sociology (PPGSP) and International Relations (PPGRI) Graduate Programs that wish to improve their knowledge through an academic exchange in the University of Hradec Králové (UHK). Selected students will receive a €3200 scholarship (€800 per month for 4 months), and €1500 to help cover the costs of travel. Students will not be required to pay academic fees at UHK. All courses will be taught in English, therefore, proficiency in the language is required. The Office of International Relations (SINTER) announces that applications for the 2018 Projeto Milton Santos de Acesso ao Ensino Superior (PROMISAES) financial awards are open from 9 August to 26 August 2018. The awards are offered by the Ministry of Education (MEC) to students from the Programa de Estudantes-Convênio de Graduação (PEC-G) at UFSC. Check the rules in the Call for Applications 10 SINTER 2018 – PROMISAES – Remaining Awards 2018-2. 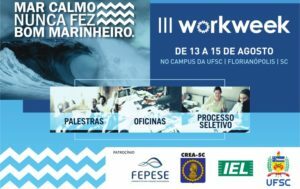 On 13, 14 and 15 August 2018, UFSC will promote the 3rd Work Week, its biggest recruitment and opportunities fair. The event will take place at the Rectorate Building Hall. The event’s schedule includes activities to present opportunities inside and outside the university environment that will have a positive impact on students’ education and professional training. Aiming to stimulate the interaction between students and the job market in an informal environment and, it will be a great way for students to get to know more about the participating companies and their recruitment processes, besides promoting important reflections about entry into the job Market. From 25 June to 06 July 2018, UFSC welcomed three student academic missions from the Universidad de La Costa – CUC, Barraquilla, Colombia, reinforcing the cooperation agreement between both institutions. The areas of interest of these missions were: Activity-Centered Ergonomics, Continuous improvement of Process Productivity, and Logistics Efficiency. UFSC’s Automation and Control Engineering student Daniele Kuchenbecker, from the Blumenau Campus, is one of the 30 university students to win the Academicxs Games 2.0. The award grants the winners a 12 days scholarship at Babson College, in Boston, United States. More than 23 thousand students from 18 different public and private institutions applied for the contest. Promoted by Santander Universidades, the Academicxs Games is a contest based on a mobile game application that tests university students’ knowledge. To take part in the competition, students must be at least 18 years old, be enrolled in or completing an undergraduate program and have an account at Santander Bank. For more information, check the Santander Universidades website. The USAC Study Buddy Program is an initiative for UFSC students to have an exchange experience by practicing another language, getting to know other cultures and making new friends. – Include your buddy in your social activities and help him/her with getting to know the local culture. You will also need to be able to communicate in English in order to help your buddy learn Portuguese while you practice your English skills. If you are interested in becoming a Study Buddy and meeting USAC exchange students, fill out this form. Next Friday, 27 July, the Office of International Relations (SINTER) will hold a welcoming session to the international students who will be joining UFSC in the second semester of 2018. The event will take place at the Rectorate Building Auditorium, at 10 a.m.. The meeting will be attended by the University’s Vice-Rector, Prof. Alacoque Lorenzini Erdmann, and the Secretary for International Relations, Prof. Lincoln Fernandes. Besides welcoming the students, the session will also include cultural activities. 182 exchange students will be coming from 19 countries through the Incoming, BRACOL, BRAMEX and AUGM programs. The Incoming Program receives students from UFSC’s partner institutions, with which UFSC holds bilateral agreements, without scholarship granting. The others are programs in which UFSC participates, both receiving and sending students with scholarship grants. On 16 July 2018, UFSC’s Vice-Rector, Prof. Alacoque Erdmann, and the Secretary of International Relations, Prof. Lincoln Fernandes, welcomed Mr. Carlo Krieger and Mr. Jan Eichbaun, the Ambassador and the Honorary Consul of the Grand Duchy of Luxembourg, respectively, at UFSC. In the meeting, the Luxembourg authorities demonstrated interest in reestablishing cooperation activities with the state of Santa Catarina, in consideration of the large number of Luxembourg immigrants in the state, especially in the Angelina region. They highlighted that the University of Luxembourg and UFSC have several areas of common interest which can enable the development of partnerships. The Office of International Relations (SINTER) announces that applications for the Escala de Gestores y Administradores program are open from 17 July to 27 August 2018, according to the Public Call no. 9/SINTER 2018 – Escala Gestores y Administradores. The call covers six scholarships to be offered to UFSC’s technical and administrative staff members. One of those is reserved for SINTER’s staff and the other five are available to the other university sectors that work directly in the strengthening of the internationalization process at UFSC. To apply, the candidate must have been working in the institution for at least three years. Applicants must send all the documentation required in PDF format to the email augm.sinter@contato.ufsc.br. UFSC will provide the winners with round-trip air tickets in economy class, and the host university is responsible for organizing and providing accommodation and food, following its own criteria, as described in the Call for Applications 2019. The 2018 Universidade Federal de Santa Catarina Model United Nations (UFSCMUN) is being organized by the International Relations Program of UFSC. The event, that simulates International Organizations and Government Delegations meetings, will take place on 15 and 16 September 2018. The Model United Nations was created in 1927 at Harvard University by a group of students interested in replicating the environment of the League of Nations after the First World War. Currently, there are more than 400 MUN conferences around the world and over 3,000 Brazilian students involved with these events. USAC, in partnership with SINTER, promoted a second edition of the “Internationalization Initiative – English as a Medium of Instruction (EMI)” Course on 18, 19 and 20 June 2018. The course was addressed to UFSC’s faculty and lectured by visiting Professor Sarah Blithe, from the University of Nevada, U.S. It took place on the Florianópolis campus and was transmitted live on SINTER’s Facebook page. The aim of the course was to give support to UFSC faculty members on how to design and teach courses in English, in order to meet the needs for using English as a Medium of Instruction (EMI) and contribute to UFSC’s internationalization process. Applications for the XXVI Jornadas de Jovens Pesquisadores of the Asociación de Universidades Grupo Montevideo (AUGM) are open until 9 July 2018. The event will take place from 17 to 19 October 2018 at the Universidad Nacional de Cuyo (UNICUYO) in Mendoza-Argentina. The theme chosen for the 2018 event is “A 100 años de la Reforma Universitaria: Saber te hace libre” [100 years of the university reform: knowledge makes you free]. One of the objectives of the USAC program is to offer learning opportunities in English for UFSC undergraduate students. have specific interest and availability to attend at least 90% of classes. Students interested in taking the courses must go to USAC’s Office (UFSC Rectorate Building 2 – Store 4) until 26 June, from 1 p.m to 5 p.m., for a brief English interview and course registration. If it is not possible to attend in person, please call USAC’s Office from 1 p.m to 5 p.m. at + 55 48 3721 6207. For information on the courses being offered, click here. Applications for the Bolsa Mérito 2018.2 (a merit scholarship aimed for students from the Programa de Estudantes-Convênio de Graduação – PEC-G at UFSC) is open from 21 June 2018 to 20 July 2018. Offered by the Brazilian Ministry of Foreign Affairs (MRE), the Bolsa Mérito consists of a monthly scholarship worth R$ 622,00, which is granted for a period of 6 months. Read the rules carefully in the Call for Applications DC n. 1/2018. To apply, students must send the following documents, digitized in high quality and PDF format, to pecg.sinter@contato.ufsc.br until 11.59 p.m. on 20 July 2018. In case of participation in extracurricular research or outreach activities during the past two semesters, proof of student’s participation, indicating date of completion, duration and/or the workload. Individual letter of recommendation, written and signed by a professor from a course taken in the last semester. The email must have as its subject “MÉRITO 20182 + APPLICANT’S NAME” (e.g. : MÉRITO 20182 ANA SILVA). SINTER announces that applications for the program “Bolsas Ibero-Americanas para estudantes de Graduação Santander Universidades” are open, according to the Public Call no. 08/SANTANDER Bolsas Ibero-Americanas. The program, financed by Banco Santander (Brasil) S.A., offers scholarships to students enrolled at universities that are partners of Santander, enabling mobility between Ibero-American countries. Offered by the Portuguese as a Foreign Language Research and Teaching Center (Nuple), the Portuguese for Foreigners course will take place from 2 July 2018 to 26 July 2018, with Monday to Thursday morning classes, from 9 a.m. to 12 p.m. The classes will be held at the Hassis Room in the School of Communication and Arts (CCE), Building B, ground floor. Registration can be made at the Nuple Office – room 421, Building B CCE. For more information, please contact Nuple at nuplecce@gmail.com or + 55 48 3721 6587. The Universidade Federal de Santa Catarina (UFSC) was ranked 101-150th in the Times Higher Education (THE) Golden Age Rankings 2018. The ranking is published simultaneously with the Young University Rankings (for Institutions with less than 50 years). The Times Higher Education (THE) world university rankings are one of the most far-reaching, balanced and reliable rankings in the world. In order to evaluate the institutions, 13 performance indicators are analyzed, grouped into five areas: Teaching, Research, Citations, International Outlook and Industry Income. In this year’s edition of the Golden Age University Rankings , 200 Higher Education Institutions from 44 countries were evaluated. UFSC was the second best qualified Brazilian University, making its inclusion in the ranking a significant accomplishment. See the complete ranking results here. The UFSC International Relations Office (SINTER), along with the University of Flensburg, invites the university community to a lecture on Women Entrepreneurs, Self-Efficacy and Gender Egalitarianism. The event will take place on Thursday (7 May) at the School of Socio-Economic Sciences (CSE), Building B, room 11, at 1 p.m. No previous registration is required. The lecturer, Kirsten Mikkelsin, holds a doctoral degree in Women’s Entrepreneurship and is a researcher at the University of Flensburg. A brief biography of the lecturer can be accessed here. On 11 may 2018 UFSC held the first meeting of the Abraça Mundo Project. Developed by undergraduate students from the Administration Program, the project aims to promote the integration between students from the Programa Estudantes-Convênio de Graduação (PEC-G) and the academic community in general. PEC-G is a cooperation agreement between the Brazilian government and other developing countries (from Africa, Latin America and the Caribbean), with which Brazil maintains educational and cultural agreements, with the purpose of developing human resources. 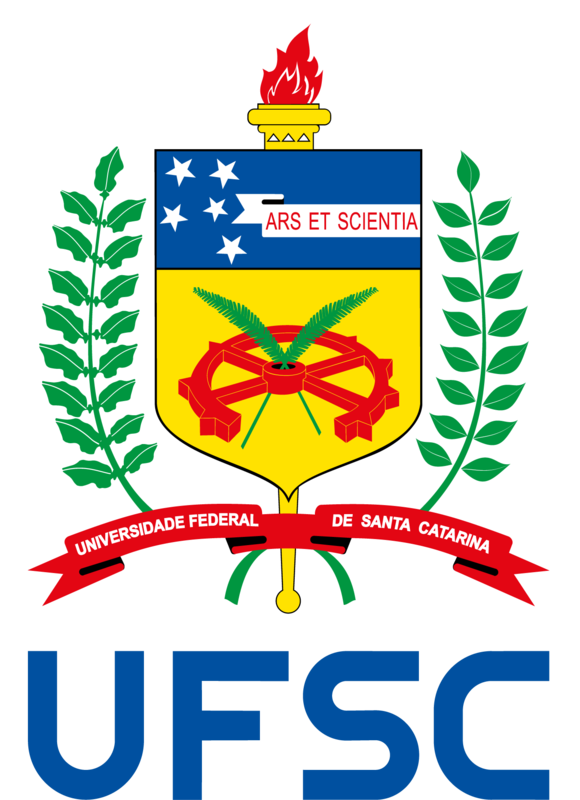 UFSC is associated with PEC-G since 1970 and has graduated near 600 students through the program. By the end of the meeting, a coffee break with the project’s developers and the PEC-G students was offered, resulting in a moment of cultural exchange that contributed for the improvement of the project. To know more about the Abraça Mundo Project, access their Facebook Page. As an internationalization initiative, the Office of International Relations (SINTER), in partnership with USAC, re-offers the English as a Medium of Instruction (EMI) course. The course was developed by Professor Sarah Blithe as a way to meet the needs for using English as a Medium of Instruction (EMI) at the university. It will give support to UFSC faculty on how to design and teach courses in English, contributing to UFSC’s internationalization process. Classes will take place from 18 to 20 June, 10 a.m to 11:30 a.m. The location is yet to be decided. The course has 20 seats available. SINTER will reserve 5 more seats in case of dropout and the participants will receive a registration confirmation by email (caa.sinter@contato.ufsc.br). The Universidade Federal de Santa Catarina has been ranked in the Times Higher Education (THE) Emerging Economies University Ranking 2018. Among the 42 countries and 378 institutions evaluated, UFSC reached the position 201-250. The analyses examined the institutions’ strengths regarding their goals in research, knowledge transfer, international outlook and methodology, which had an special focus on the evaluation. To be placed in the ranking and to be part of the select group of 42 examined countries is an important achievement for UFSC. This means that among the emerging economies, the university has a significant role in research leadership. For the ranking scores, access the THE website. USAC, in partnership with UFSC, promoted on 7, 8 and 9 May 2018 the English as a Medium of Instruction (EMI) Course. The course was addressed to UFSC’s faculty and lectured by visiting Professor Sarah Blithe, from the University of Nevada, U.S. The course focused on introducing EMI and instructing its participants on how to lecture courses from all areas of expertise in English as a way to spread the use of English language in environments where English is not the first language of the participants. The opportunity was part of UFSC’s strategy to disseminate the university’s language policies. The Rector of Universidade Federal de Santa Catarina, Ubaldo Cesar Balthazar, and the Secretary for International Relations, Lincoln Fernandes, traveled to Chile this week to participate in the 73th meeting of the Associação de Universidades Grupo Montevidéu (AUGM) Council of Rectors, along with academic authorities from other universities from Brazil, Paraguay, Uruguay, Argentina, Bolivia and Chile. The meeting – that took place on 7 and 8 May – was organized by the University of Playa Ancha (UPLA) and the University of Valparaiso (UV) and discussed the need to defend the role of federal universities on the development of higher education, as well as the challenges and gaps that will be faced to accomplish this mission in a global context. The British Council published a report about the challenges and opportunities for the internationalization of Brazilian Universities. The document is based on lectures taught during the “Universidades para o Mundo – Região Sul” meeting, which took place in November 2017, in Curitiba, Brazil. Representatives from the International Relations Offices of UFSC, UFPR, UFRGS, UEL, among other Brazilian universities, and authorities from the University of Coventry and the University of East Anglia, both from England, were present in the event. Given the relevance of the international insertion strategy of UFSC and the role of language policies, both discussed by Prof. Lincoln Fernandes in the meeting, the report dedicated an article exclusively for the subject. To read the article, access the Report. The Office of International Relations (SINTER) announces that on 7, 8 and 9 May the USAC visitor professor Sarah Blithe will give a course about English as a Medium of Instruction – EMI for UFSC faculty members. The classes will run for 90 minutes each, starting at 10 am at USAC office (Rectorate Building II – Desembargador Vitor Lima Ave., 222, room 4, ground floor). The seats are limited to twenty participants and registrations must be done until 6 May through the following form. The Office of International Relations (SINTER), in accordance with the Call for Applications no. 04/SINTER/2018, announces the Final Result for the AUGM Escala de Estudiantes de Grado Program for studying abroad in the second semester of 2018. The Office of International Relations (SINTER) informs that the publication of the preliminary results for the AUGM Escala Estudiantes de Grado Program expected to be released on 20 April will be postponed. The delay is due to the decrease in the number of places offered, previously accorded, by some of the partner institutions. The preliminary results will be announced between 23 and 27 April, as well as the new deadlines for appeals and final results. SINTER is at disposal for further clarifications. The Fundación Botín has published an open call for the VII Edition of the Programa para el Fortalecimiento para la Función Pública en América Latina [Botín Scholarships for Strengthening of Civil Service in Latin America] . The program is aimed at Latin American university students with high potential and vocation to the civil service and also seeks to enhance regional development through a network of highly trained civil servers who are committed to the public interest. The training program will start on 9 October 2018, at Fundación Botín Head Office (Madrid, Spain) and will finish on 29 November at Fundação Getúlio Vargas (Brazil). The scholarships will cover enrollment, travel, housing and living expenses of the selected applicants. The Office of International Relations (SINTER) announces the preliminary result of the selection process related to the GCUB – ASCUN Brazil-Colombia Student Exchange Program (BRACOL), in accordance with the Call for Applications no. 06/SINTER/2018. Applications for the Portuguese as a Foreign Language in-classroom course offered by UFSC Language Center (NucLi-IsF), linked to the Idiomas sem Fronteiras [Languages without Borders] (IsF) program, will be open from 26 March to 03 April. The target audience are foreign undergraduate and graduate students currently enrolled at UFSC, who have an A1-B2 proficiency level in Portuguese. The 16-hour course aims at developing reading strategies and linguistic competences needed to comprehend texts in academic contexts and for the CELP-BRAS exam. Classes will take place between 30 April and 26 May of 2018, on Mondays and Wednesdays from 2 p.m. to 3:30 p.m., at the School of Communication and Arts (CCE). Applications will be made exclusively through the website http://isfaluno.mec.gov.br or through the program’s app, IsF Aluno. For more information, please contact psf.ufsc@gmail.com. On 27 March, UFSC will receive a team from Campus France Brasil– a French government agency responsible for promoting higher education – which will give a lecture about study opportunities in France. The presentation will cover topics such as the admission application process, the advantages of the French higher education, scholarships available for foreign students, information about the exchange programs and the procedures for applying for a student visa. The event will take place at the School of Socio-Economic Sciences’ (CSE) auditorium, at 11 a.m., on 27 March (Tuesday). The Office of International Relations (SINTER) invites all the undergraduate students to a lecture about exchange possibilities at the Università Cattolica del Sacro Cuore (Italy). The institution has a cooperation agreement with UFSC in all knowledge areas of common interest. The event will be held on 26 March – 11 a.m. at the School of Socio-Economic Sciences’ (CSE) auditorium – and will be conducted in english by Prof. Glória Lupo Pasini, who, besides working at the institution is also graduated from it. The Internationalization Advisory Committee of UFSC, nominated by Ordinance no. 1105/2017/GR, of 15/05/17, makes available for public consultation the Institutional Plan for Internationalization proposal. To access the proposal, click here. The file is also available on the UFSC deliberative bodies website. If you have any suggestions, send an email to sinter@contato.ufsc.br until 26 April 2018. The Office of International Relations (SINTER) announces that the application period for the English courses offered by the Idiomas sem Fronteiras [Languages without Borders] – IsF Program was extended. The new application deadline is 19 March, until 12:00 pm (Brasilia time). Classes are free and seats can be filled by UFSC students and staff. Applications can be submitted through the ISF website. For further information, access the program’s Public Call. The Office of International Relations (SINTER) informs that the deadline for application to the PROMISAES financial support has been extended until 28 March according to this Public Call. See the Public Call that was extended here. The course “Study and Traineeship Opportunities in Germany” was offered at the School of Sciences, Technologies and Health on the UFSC Araranguá Campus during Winter (14July to 22 August 2017) and Summer (19 to 27 February 2018) School. The offer of this course in English is part of UFSC’s internationalization strategy and was supported by the Office of International Relations (SINTER) and UFSC’s Extension School through the public calls 03/2017 and 08/2017/PROEX. The course aimed to prepare students and workers to find study and work opportunities in Germany, besides discussing cultural differences in order to ensure a successful exchange experience. The Office of International Relations (SINTER) would like to reinforce the importance of paying attention to the vaccines required for international travels. This document lists the vaccines required to enter countries in the Americas. The Office of International Relations (SINTER) informs that applications for the Programa ESCALA Estudiantes de Grado 2018.1 of the Asociación de Universidades Grupo Montevideo (AUGM) are open. The program is aimed at undergraduate students from UFSC. Sixteen students will be selected and distributed among universities in Argentina, Chile, Paraguay and Uruguay. The selected students will do a one-semester exchange in one of the member universities of the program, with exemption from tuition fees and free accommodation and food – to be provided by the host university. Applications must be done until 29 March 2018. To know all the rules of the program, check the Public Call 04 SINTER 2018 . UFSC’s Outgoing Online application system is having technical problems. Therefore, ELAP scholarship applicants wishing to go to the Université du Québec à Chicoutimi, University of Ottawa or University of Saskatchewan, that have deadlines between 2 and 5 March 2018, must apply in person at SINTER’s office or through email (outgoing.sinter@contato.ufsc.br). The application will be considered complete upon delivery of all the required documents within the time limit stipulated (check the deadlines here). The signature of the program’s coordinator in the study plan, which must be delivered alongside with the other documents, will be considered proof of the program’s approval. If you have any doubt, contact us at outgoing.sinter@contato.ufsc.br or +55 48 3721-6406. The Office of International Relations (SINTER) announces that applications for the Projeto Milton Santos de Acesso ao Ensino Superior (PROMISAES) – Remaining Awards 2018 are open from 27 February to 14 March 2018. The awards are offered by the Ministry of Education (MEC) to students from the Programa de Estudantes-Convênio de Graduação (PEC-G) at UFSC. The seminar “Current Topics in Brazil” is a course offered by the PPGICH’s teachers and invited professors, in English, to students of the Graduate courses of UFSC and special students. The focus of the seminar will be on the relationship between various conceptions of and attitudes toward research, and recent theories of interpretations and hermeneutical practices in the research in human sciences in Brazil, emphasizing their insertion into a theoretical field of study and in an interdisciplinary perspective. The working in progress of the professors invited to give lectures will be considered in order to select those. It aims to introduce the students in the different fields of studies of and in Brazil. Developed by the Canadian Government, the Emerging Leaders in the Americas Program (ELAP) offers scholarships to undergraduate and graduate students (master’s and doctoral level) from Latin America and the Caribbean to join an exchange program at Canadian universities. SINTER manages the applications of UFSC undergraduate students only. Please check here the details for application. SINTER is in touch with UFSC’s partner institutions, through email, and we will announce (on our website) the application deadline for each Canadian institution as soon as we receive their reply.